Our Toyota Service Center features the latest in automotive repair and maintenance technology. 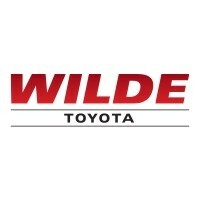 Bring your Toyota in for maintenance or repairs and our specially trained staff of certified technicians will handle all your service needs quickly and affordably. Whether your vehicle needs routine maintenance or extensive repairs, we service all makes and models. Plus, we offer other great perks and frequently updated special offers that will help you save on the things you need most. We’re proud to serve our customers from here in West Allis. We look forward to seeing you soon!